Pay-per-click advertising, or PPC, is an Internet marketing channel where advertisers—businesses and/or individuals—pay a fee to a publisher each time one of their online ads is clicked. Most commonly, search engines such as Google or Bing offer advertisers the opportunity to buy online listings that appear in search results, with paid listings appearing alongside organic, non-paid search results. No doubt there is more than meets the eye when embarking on creating a successful PPC campaign. There are, however, foundational building blocks of this channel which, when learned, will take you a long way towards achieving your goal of gaining new customers. Google describes keywords as the words or phrases that are used to match your ads with the terms people are searching for—selecting relevant keywords for your advertising campaign is how you increase your chances to reach the customers you want, when you want. When you select keywords, you choose how much you are willing to pay each time a customer clicks your ad (this is your cost-per-click or CPC). You do not want to pay for Web traffic that has nothing to do with your business. Instead, develop precise keywords that will lead to a higher PPC click-through rate which, in turn, translates to cost-effective cost-per-clicks and increased profits. Bottom line: the keywords you bid on should be closely related to the offerings you sell. Include the most popular and frequently searched terms in your niche as well as keyword phrases—“long tail” keywords that are generally betweenntwo-to-five words in length—that are more specific, less common, and account for the majority of search-driven traffic. Long-tail keywords are also are less “competitive” in the bidding process which means that they are less expensive. Consistently refine your PPC campaign(s) and get in the habit of paying regular attention to your keyword list(s) so that it is evolving and returning results for you over time. Once you have your keyword list in hand, you will need to write your ad. Ensure that your spelling and grammar are correct and verify that your language adheres to the rules enforced by the pay-per-click service (e.g., Google does not allow ads with superlatives). Also, include what are called “negative” keywords. According to Google, negative keywords help to ensure that your ad does not show up in searches that include those terms. Negative keywords can help you to reduce costs by making sure your ad appears only to the audience searching for what you offer. 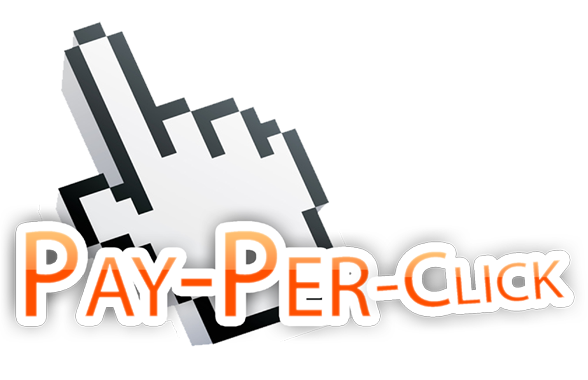 Pay-per-click advertising can generate traffic almost immediately. You can perform keyword research, write your ad, optimize your landing page, make your bids and publish your campaign, all in a day or two. PPC advertising is also relatively simple. If you bid highly enough, your ad(s) will receive favorable placement on a search-results page and that placement translates to more impressions which, potentially, translates to more clicks and more customers. Pay-per-click advertising is flexible. If market conditions change—or your products or services change—you can make adjustment to your campaign(s) in short order. Leveraging PPC advertising is a potential bargain. Over time you may find that you are able to hone in and create long-tail keywords for pennies on the dollar, generating traffic to your website for a fraction of the cost of any other form of paid advertising. If you do not correctly manage your campaign, PPC advertising costs can grow like weeds. According to Portent, Inc., it is easy to get caught up in a bidding war over a particular keyword and wind up spending far more than your potential return. Also, pay-per-click advertising does not scale. If you get more traffic, you pay more money in nearly direct proportion to that traffic—your cost per click stays constant, and your overall cost increases. In other words, the amount you spend per click should always be less than the total profit earned per click. Remember, though, that this is only a rule of thumb not the law of the digital land. Even if initial profits from your PPC campaign disappoint, dig deeper and consider that you may still be acquiring loyal customers. The lesson is to always pay close attention to both short- and long-term metrics. If your sales, leads, or other desired visitor actions increased right after you began your pay-per-click campaign, you are on the right track. A conversion does not have to be a sale, but it must be worth something to you. Google and Bing provide conversion tracking systems. Another option is to simply open a spreadsheet and track conversion data yourself. Most everyone bids on popular terms and that drives up the cost per click. Spend most of your energy, then, focusing on more descriptive, long-tail keywords—long-tail keywords cost less and the people using them to search are more likely to buy. Portent, Inc. points out that Google, Bing and most other PPC services will show you the estimated cost per click, along with the average number of searches per day, for the keywords on your list. A high quality score translates to more views, more clicks and, theoretically, more revenue for your business. Do your homework, choose your keywords wisely, set up conversion goals and keep track of what campaigns are working and what campaigns need attention. That said, Portent, Inc., suggests not immediately altering your campaigns if they suddenly become searched less often. Instead, wait several days to ensure that you are not witnessing a statistical anomaly; you are ultimately focusing on conversions, not clicks. Remember, staying in tune with your PPC ad campaign(s) is simply another way to nurture your business, strengthen your brand, and increase your bottom line.